Salty. No boundaries. No empty echoes bouncing into her lower jaw, but the complex image of the seafloor only her sophisticated echolocation can provide. Seeing with her voice, her birthright, denied to her in prison. So many years performing circus tricks just to get a bunch of disgusting dead fish: up into the air, through the hoop, forward, backward. The endless laps she swam in that fish pond, trying to bring peace to her restless body. Dozing on and off from the drugs she was given by her trainers. The anguish, the torture, the solitude. And one day, humans different from the ones who captured her as a baby, took her to cooler and cleaner waters. A bay up North, with a delicate barrier separating her from the Big Blue. She has been listening to the songs of her long lost family. And what sweet voices they are! She sings them her name, as taught by her mother. And they reply: “Come to us, we are waiting for you”. Now, the sea pen is open. The boundless ocean awaits. Today, she is going home. 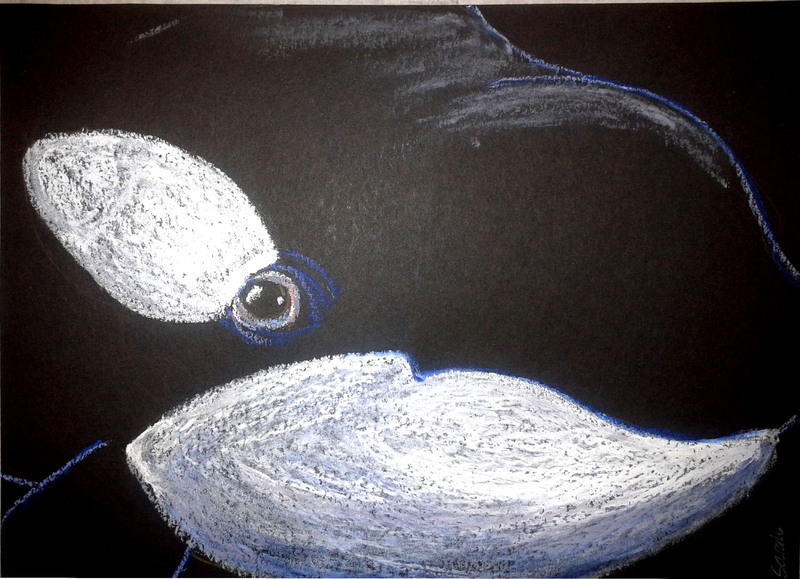 Author’s note: I dedicate this fable to all the captive orcas and dolphins worldwide. May humanity understand one day the atrocity of incarcerating these highly intelligent and social animals. Then, I hope we use science-based protocols to rehabilitate them back into the wild ocean. The truth in this story makes it all the more heart wrenching.